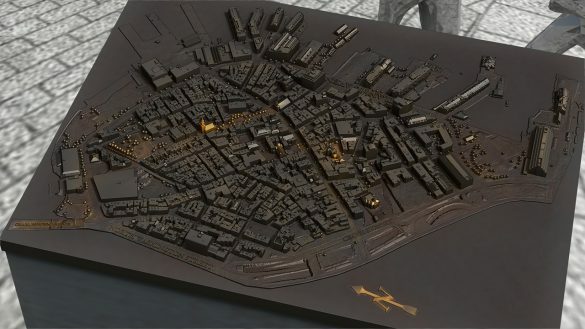 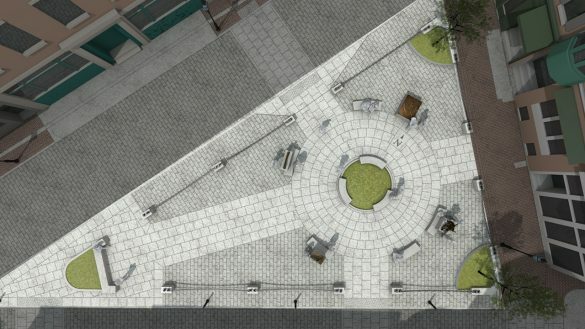 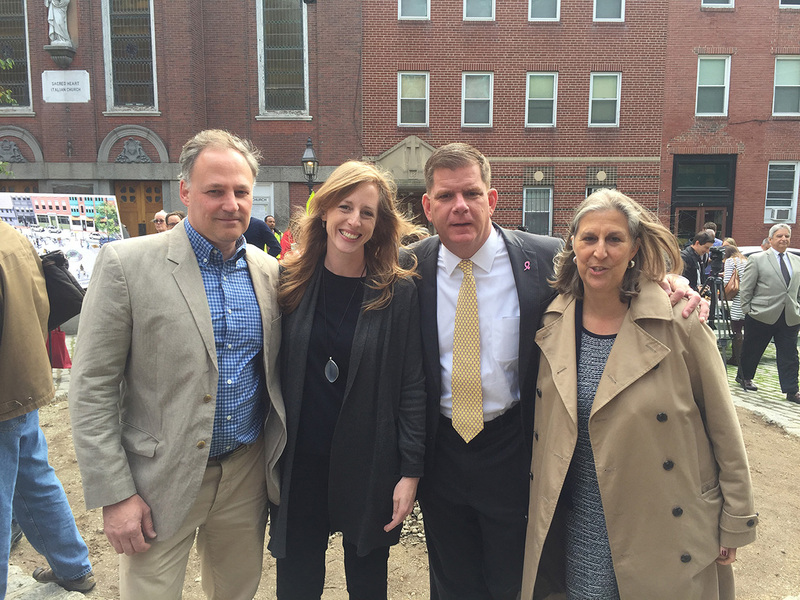 The North Square Public Art Project is City of Boston Percent-for-Art project that we are creating in collaboration with Public Works and the Boston Art Commission for Boston’s oldest and most cherished public square. 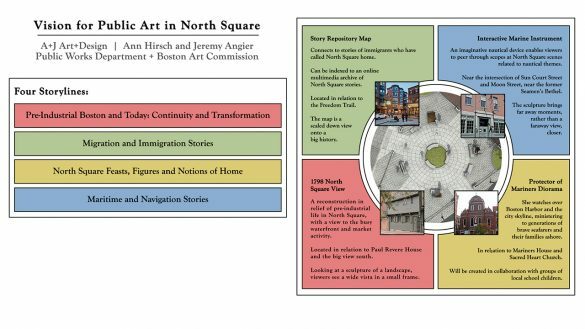 Our proposal conceives of North Square conceptually as the site of many intertwined stories and both conceptually and physically as a small space with a big view. 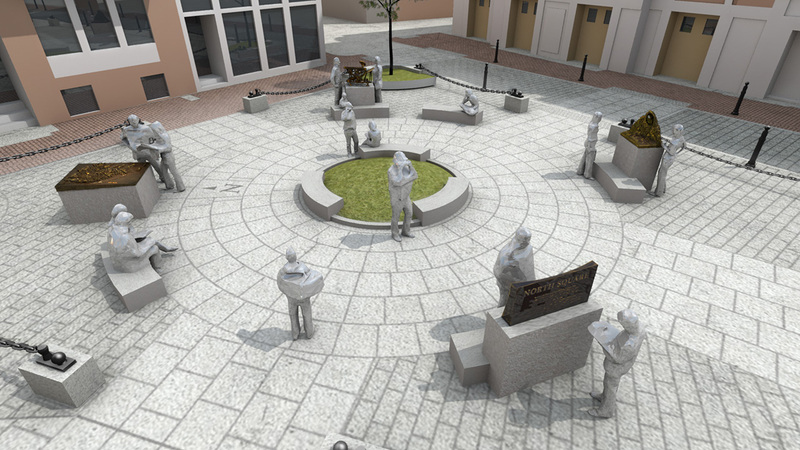 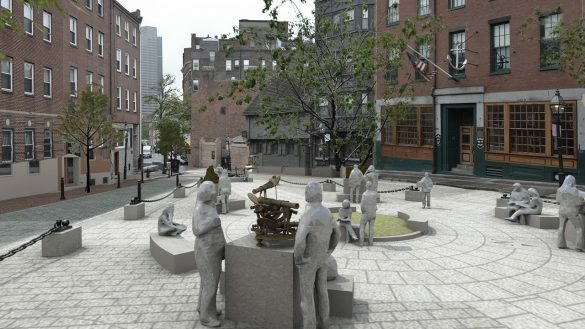 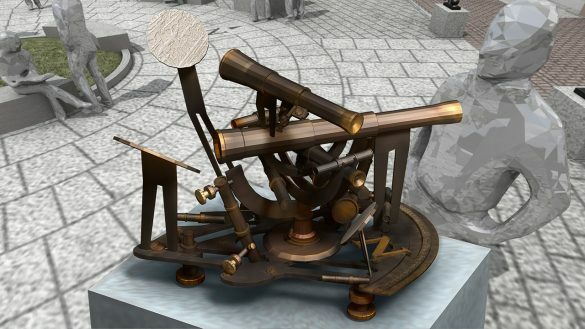 The accepted proposal will lead to the creation of four sculptures in bronze that each focus on a different narrative thread associated with the Square, including: pre-industrial Boston; maritime stories; stories of immigration and habitation; and recent cultural traditions. 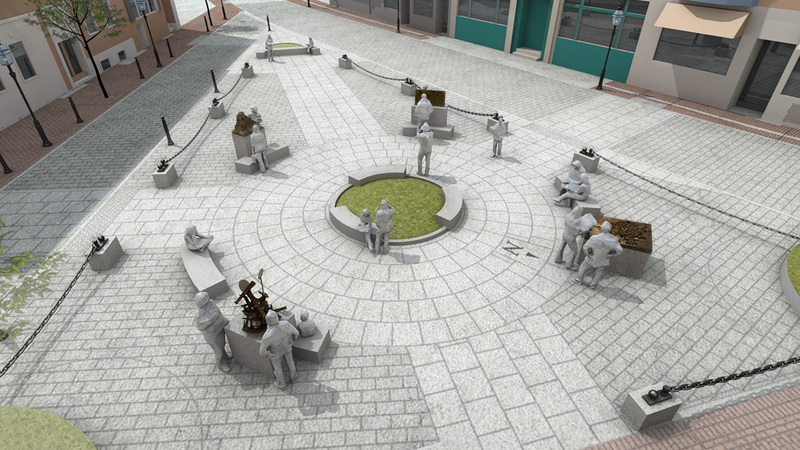 The placements of the sculptures take advantage of the orientation of the triangle of North Square and the physical space of the Square which has a big view experienced from the space of an intimate refuge. A+J Art+Design is a multidisciplinary collaboration between artists Ann Hirsch and Jeremy Angier. 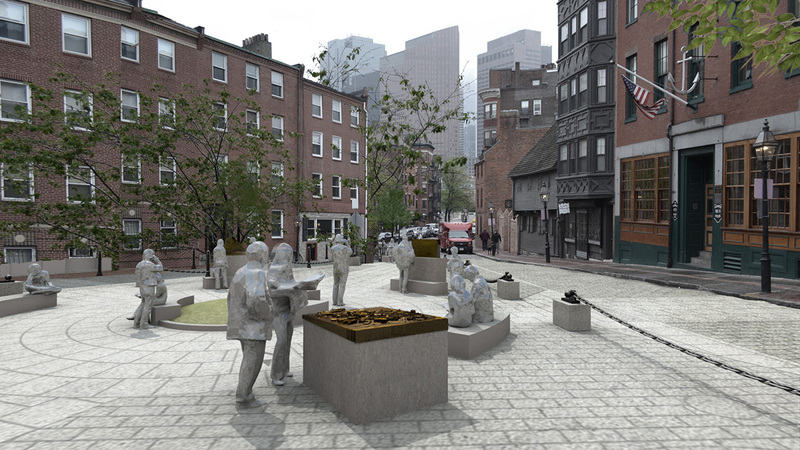 We share a commitment to site specificity, interactivity and community engagement. 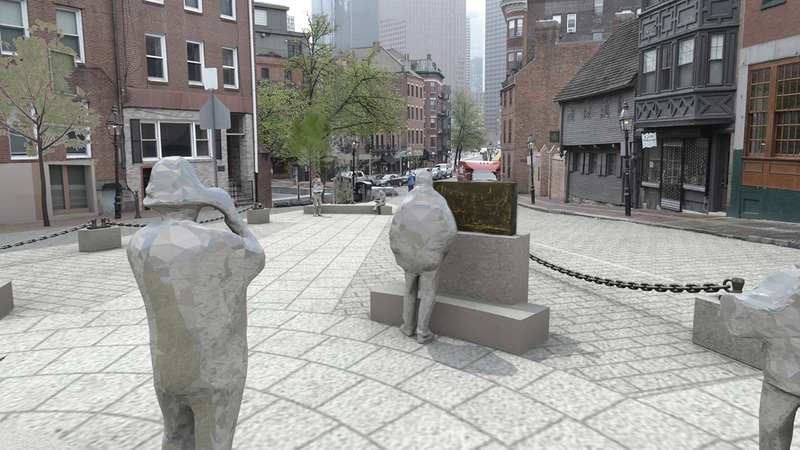 The team makes public art to provoke, entice and inspire and offers capabilities in traditional object making as well as digital visualization and prototyping.